Because of such long history of EAMDA we have opportunity to cooperate with many national neuromuscular disorders associations across Europe. We are proud to have strong connections also with the organizations which are not our regular members. 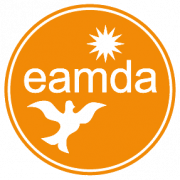 Do you consider becoming EAMDA member organization? Click button to read more on how to become EAMDA member organization. Invoice for EAMDA annual membership fee 2018.